Samples of the findings – stone tools, pointed tools, scrapers, flint flakes, lithic cores have been sent to a specialized laboratory in Japan for study, Azertac reports. 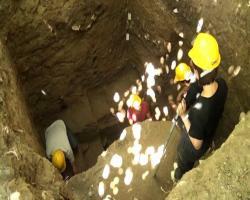 Yoshihiro Nishiaki, the head of a group of Japanese archaeologists working within the international expedition in Avey, said that currently excavations are carried out in the Damjili cave. The cave, opened in 1953 by Azerbaijani scientists Mahammadali Huseynov, is the first monument of the Stone Age discovered in Azerbaijan. 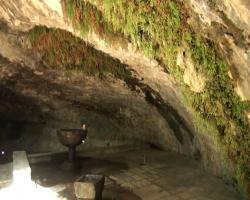 “The cave is multi-level, and people lived here in certain periods. It has similarities with the ancient settlement of Goytepe of the Neolithic period, which is located in the neighboring Tovuz region of Azerbaijan. But probably Damjili is a more ancient settlement,” Nishiaki told reporters. 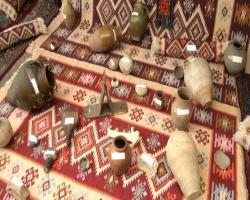 Avey Director Saadat Alieva said that the artifacts discovered during excavations will be exhibited in a museum under the open sky on the territory of the reserve. 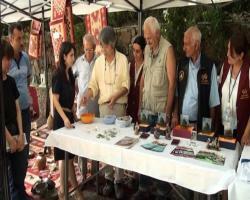 The international expedition carries out excavations in the Avey reserve based on a five-year agreement signed between the Azerbaijan National Academy of Sciences Institute of Archaeology and Ethnography, Tokyo University Museum and the reserve. Damjili is the largest of the 30 caves of the Stone Age discovered on the territory of the reserve in mid 1950s. Located at the foot of mount Avey, the cave has a semicircular shape. Its area is about 460 square meters and the height is four meters. The tools found in the cave prove the existence of life and continuous human activity there.